Spring is finally in the air here in NY! Although March came in like a lion, we’ve had some nice sunny, warm days recently and I’m loving the change in the weather. I love that things start to “lighten up” with spring – longer days, softer colors, lighter clothes. To go along with the spring theme I’m happy to say I’ve been able to lighten up my iPad for the season too, with a great new colorful case from The Snugg. 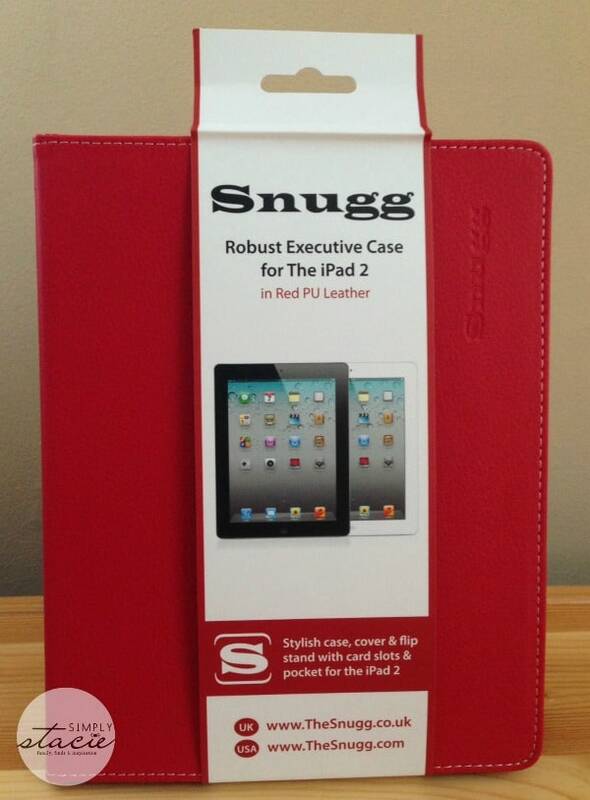 I received an iPad 2 Case Cover and Flip Stand in Red Leather from The Snugg. What drew me to this particular case was the color – it’s such a refreshing pop of red in a sea of black electronics. I thought it would be a great way to change up the look of my iPad for the spring/summer season while keeping it well-protected for everyday use. My iPad fit securely in the case – a very snug fit with a tight Velcro fastener. All of my ports were accessible while in the case. The great thing about this case is that it allows you to use your iPad in a traditional manner (cover folded back), and it also acts as a stand for watching videos or playing games. This particular case model also has a secure loop for your stylus if you use one as well as slots for business cards. The cover acts as a sleep/wake trigger so you don’t have to worry about whether or not you turned off your iPad – if the cover is closed, it’s off and the battery is resting! Beyond being stylish and functional, I like that this cover is lightweight. 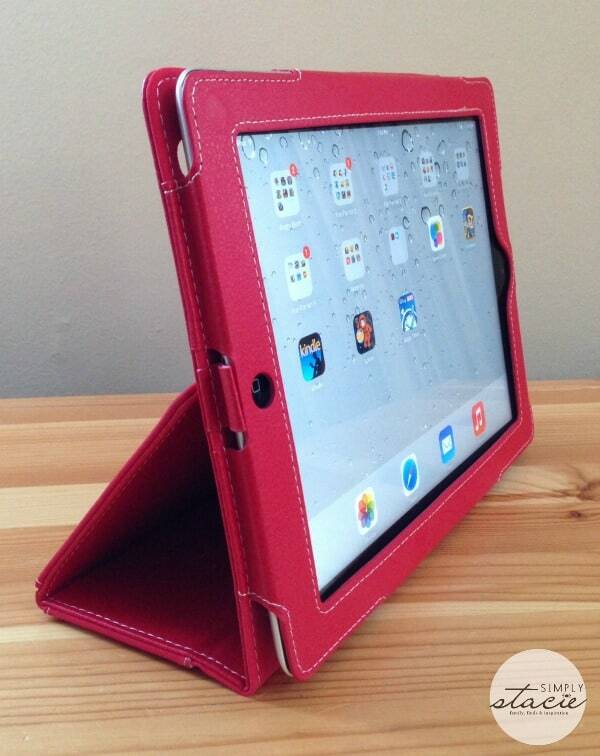 The red split leather is sturdy, yet it adds no bulk and minimal weight to the iPad. This model sells for $35.99 on The Snugg site, and comes in a variety of colors to fit any style. The Snugg is committed to providing only the best products for its customers. They even offer a lifetime guarantee on all their products – promising a full replacement if you encounter any problems over the product’s lifespan. They use only the finest materials to ensure the best fit and highest level of protection of your electronics, and their quality craftsmanship has made them the number one seller of iPad 1,2, and 3 cases on Amazon UK and USA. The Snugg offers cases for iPads, smart phones, Kindles, and a variety of other tablets. Check out their website to see what options they have for your needs. You can also find The Snugg on Facebook, Twitter, Instagram, YouTube, and their blog. I’ve been looking for a good cover for a while and this brand looks sturdy and fashionable. Looks like a great cover. Will have to check them out and see if they have a cover for my tablet. Thanks for the review! Very versatile and useful. I like when the cases are stands, too. I’ve found this to be very helpful to me. The fact that this one also flips back and comes in colors are bonuses. now THATS a cover ! :) love the pink one! thanks for sharing! Oh wow, this is so nice!! I love how it holds the iPad up and that it has a lifetime warranty!! That is a really nice cover! I’ll have to check out the site for ones for my Kindle and tablet. I love my Snugg case on my IPad. The price is right and I really like the red colour. This would be a great item to have. I need one of these! I love how it stands. Perfect for following a recipe online. Thank you for the review. I am looking for a new iPad cover/protector, but definitely need something that will stand up to serious jostling and still looks nice. Looks like a sound investment. 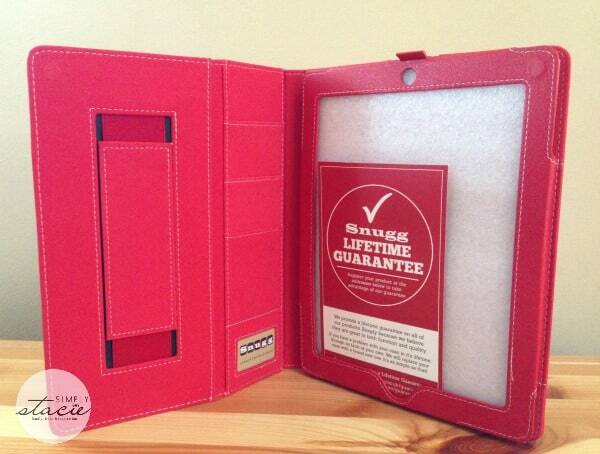 We’re in the market for a new Case Cover for our iPad. Love this! I love to protect what I own to keep it nice. I like that it turns it off too! I don’t have an ipad yet though!! This is really neat. I have a similar one and it’s so handy to have. This looks like a very protective case. Good to hear about this one. I’ve been looking for a good one for my mom. This might be the one.